A few days ago I read three good articles about the collaboration between IL VOLO and Symphonic Orchestra of Asti that followed IL VOLO on the Italian tour. In particular, to the members of the orchestra are asked their opinion on IL VOLO. The articles are published on the Facebook page TORINO ASPETTA VOLO E POI, I thought they were interesting to you and I asked the permission to condense the articles to summarize the content. WHAT ABOUT A TOUR YOU DO NOT WRITE….. Working with them was fun, because they are boys in the hand, always with the ready-made joke, behind the scenes and during the tests…..working in a professional way, but it is done in a serene and relaxed manner. The guys of Il Volo did not know them personally, but for their successes, especially after the victory of Sanremo, I knew, in fact, Grande Amore and I knew that they sang songs of Italian tradition. I thought they had a great success because they were able to bring back songs, arias and a way of singing that had been a bit lost and that he therefore loved a lot of people. For me, the most beautiful song to play was Grande Amore, for the atmosphere that was created while playing. I would work with them again because I had a lot of fun and everything went smoothly, always worked with the smile. The most beautiful thing was the atmosphere at concerts: it does not often play in places where there are maybe 18,000 people in Turin, and in an atmosphere of a pop concert with lots of fans. It’s also great to see how three guys often bind three generations and are also very good at interplaying the concert with comic sketches. My mom followed “TI LASCIO UNA CANZONE”, so I heard them in some songs and I always thought they had a good voice, I had heard about it later and I knew they had made a great success in America. Following the Festival of Sanremo , I was curious about the song they would bring. I like Grande Amore, text is cute and music I found perfect for Sanremo, it does a lot of effect, especially singing by them three. Before we played together, I had mixed ideas about them: I knew the repertoire was “classic”, but I also knew that they had never studied opera, so I was wondering how to do it. I was very curious to know them and try to really understand what and how to sing. My favorite air is Una Furtiva Lagrima, I really enjoy it! They are very nice and helpful guys, even though they have a world renown … ready to make a chat, funny photos and videos … I think they’ve been fine with the orchestra … in the end are guys like us! It was a wonderful experience, we played in wonderful places and could, I would gladly do it again! I’m happy with this tour because I’ve heard in person what they think and can be “witness” to the fact that they know what they are doing (or do not). They know they do not work in theaters, but they want to make this kind of thing known to a different user. I really can not wait to hear them sing a little pop! In my opinion, they can really do great things! I had heard about the guys at TLUC, but I later met them in Sanremo, so in their repertoire I knew only Grande Amore, a song I think built on their three voices to win them … given to others it would have been almost trivial, instead of them it works. One thing that I really liked them is to stand in front of the opera airs: not presumptuously, but with a lot of humility, arguing that it is a field they do not quite consone and that for them is a challenge, a test, not Certainly their main feature. Among my favorite tracks, in addition to GrandeAmore, I must quote Ave Maria Mater Misericordiae, which I find truly gorgeous, both vocally and harmonically for the accompanying, great impact. According to the production, they were very pleased with the Asti Symphonic Orchestra, so there should be other occasions, I would gladly work with them. After about a month, a good relationship, some joke, an exchange of views, both in evidence and before the concerts behind the scenes. The atmosphere of the concerts is very beautiful, but I think more about them … know that 18,000 people are there only for three guys, on a stage where no commercial music will be offered, but “classical” music, opera and popular songs is very much beautiful. One thing that struck me is the variety of the public: from little girls to adults, to old gentlemen. I think they are very lucky to have such a large and very important target. On stage they feel totally at ease, it’s as if it were, and probably we can say is, their second home! I did not know them a lot, but now they have surely gained one fan in addition, because I learned to know them, both as people and professionally, and will follow them even in their future plans! Grazie Mille a TORINO ASPETTA IL VOLO E POI. Questo invece è quanto ha pubblicato l’ORCHESTRA DI ASTI a fine tour. 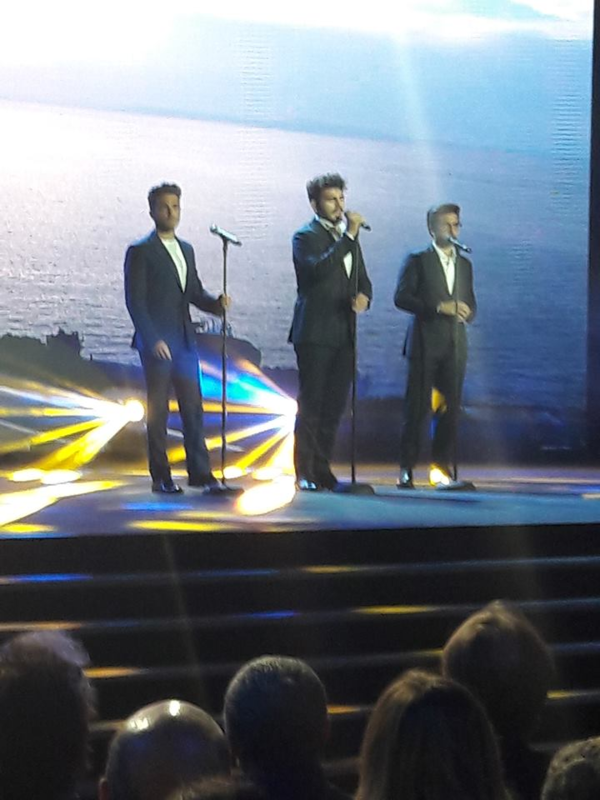 With the date of Naples it ended the NIGHT MAGIC TOUR that saw us playing alongside Il Volo. We thank the superb Maestro Marcello Rota, Gianluca, Piero and Ignazio for their sympathy, availability and great talent, Michele Torpedine, all the staff who worked with extreme professionalism and all the fans who followed us with great enthusiasm during all dates. We return home with a load of unusual experiences and emotions. Thank you all! First published on Torino Aspetta Il Volo E Poi and shared with their permission. Interesting comments. Thanks for sharing the view from the orchestra. Daniel thanks again for sharing the articles from Italy. The boys are naturally friendly and I doubt they would ever be anything but friendly and kind. Of none Gina, I also believe that working with them is unique. Thank you, Danielle, for the great article . I think it says what we all know, that the guys are fun, professional and a joy to be around. Also loved the video. What a kick to see the maestro changing places with Igna. Everyone seemed to enjoy it. Janet these guys are treasures, even during work they can be friendly and joking. Master Rota was really very good at participating in the joke. Thank you, Daniela! I loved reading what the young musicians thought of our guys. Very nice perspectives. I truly love the video Penina sent with Ignazio leading the orchestra and the maestro singing Ignazio’s part! You can tell how much they love what they do. Sound checks could become monotonous, but not with these guys. Jane, I must say that I too enjoyed reading what the musicians think about our guys and I must say that there have been many confirmations. Piero Ignazio and Gianluca are adorable guys with everyone. The video that sent you Penina is just perfect at closing the long article. When I first saw in Florence on Master Rota I thought it was very serious and would never have had a friendly relationship as the Master Diego Basso . After this video I think we are our guys who make fun those who have the pleasure of knowing and working with them. They are so natural and laid back, and have such a sense of fun, how can anyone not enjoy working with them?? Thank you Daniela for translating these articles. It just confirms what so many of us believe about these three talented, humble and friendly young men. I am always amazed and agree with Roberta who said that on stage, they are totally at ease and it is like their second home. Seeing videos of them before concerts and in between, I am always struck by how relaxed they seem and how they just go out there and get it done beautifully at every concert! I do recall in one of their PBS interviews Ignazio saying that the stage is like a second home to him. It’s true Margaret, the stage is their second home and in their home they feel comfortable. Thanks for the posting Daniela. There is nothing but praise for all three of the guys.To hear, see, and know them is to love them.Such great representatives for Italy. Yes Marion, and these testimonies confirm all our impressions about the boys. That was the most delightful article. I loved how they interacted with everyone in the orchestra. It is so obvious that they love what they do and the way they interact with the orchestra shows what a contribution they make to their success. When we were driven home from the concert in Rome by whomever arranges the Italy concerts, she had many many questions about how we liked the orchestra. We loved the orchestra and some of the pieces that they played brought tears to my eyes… even without the boys singing. It is so obvious that they all worked together to make every concerts a huge success. The insert with Ignazio conducting was charming and just showed how personable they all are with each other. These articles are a joy to read and again and again, we feel so blessed to have been with them from the beginning…..watching the boys develop both the power and the sensitivity in their voices has been amazing to watch. Hi Victoria, I knew that reading these comments would please you and I’m happy with it. Jay’s OK? Have you read the Ignatius post? Jane & Daniela this post & videos are amazing. Thank you for the pictures & videos. I have just had a day spending it down memory lane & seeing all the videos from the beginning when they started their careers & their concerts up to the present of these posts. When they started their trip they were so cute & the change in Ignazio was like a miracle & to see how they have grown into the professional young men they have become with the most beautiful voices in the world. I am honoured to have been able to get to see the concerts I’ve seen & also met them in person after the concerts. I am champing at the bit with impatience looking for their next concerts. Its wonderful to see how versatile Ignazio is that whatever he wants to tackle he is successful. We are all so lucky to have this blog & receive all these wonderful concerts & pictures & up to date information daily from the hard working girls who look after us. Thanks Kelly, Jane, Daniela, Marie, & anywone else I don’t know who is looking after us. Also for the many photos, concerts & information that is sent in from others who have been at concerts or know some information that has been sent to us. I feel so lucky to be in the right place, keep up the good work all. Thank you for your kind words, Loretta. “It takes a village” as they say. I so love all of the people working behind the scenes to make this all happen AND those who come here faithfully to read and enjoy everything we put out there about these three amazing young men. 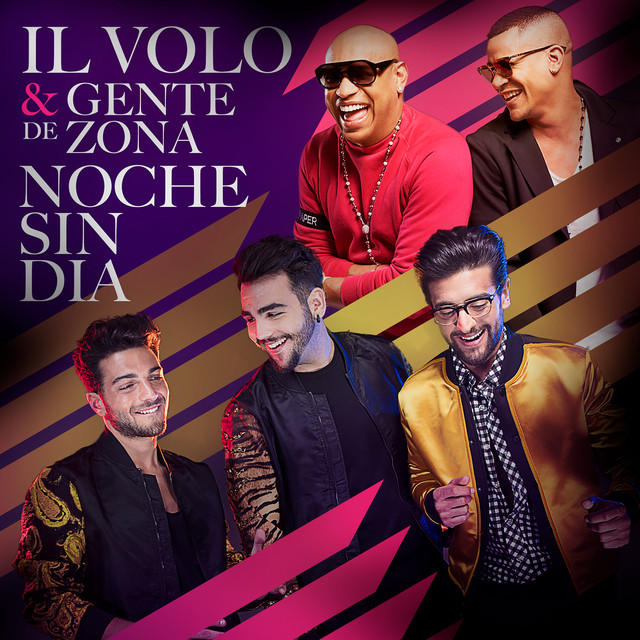 I know what joy this brings to all of us connected here because of our love of Gianluca, Piero and Ignazio!! Thank you Loretta for your words, actually I do not do much, I read and when I see interesting articles such as these interviews with orchestras made by TORINO ASPETTA VOLO E POI I think even my American friends would love to read them and so I send them to you. I am very happy that you like what I am sending you. All this is always provided by our dear guys Piero, Ignazio and Gianluca whom we all love so much. Finally, thanks to this crew that is always an example of true respect and affection.